A NOT-for-profit business support organisation which boosts employability and entrepreneurship skills is celebrating after being shortlisted in the finals of prestigious lifestyle awards. Enterprise North East Trust (Enterprise) is a finalist in the Trend Life With Style Awards 2014 in the Community Award category in recognition of its impact on the local community. The annual awards recognise the achievements of local businesses and their contribution to the life and style of the North-east. Judges were impressed by Enterprise’s recent announcement about its plans to launch a world-class centre for entrepreneurship in the heart of Aberdeen. Proposed to open in autumn of this year, it will include an unique 13-week business accelerator programme for start up businesses in various sectors who show promise of high growth potential. The profit made by Enterprise is injected into a series of community driven projects aimed at teaching young people employability skills and encouraging aspiring entrepreneurs to be the great leaders of the future. Projects vary from large free inspirational conferences, working within schools to improve soft skills, weekends away to learn business skills whilst pushing past physical thresholds through experiential learning and a wealth of work with The Prince’s Trust. 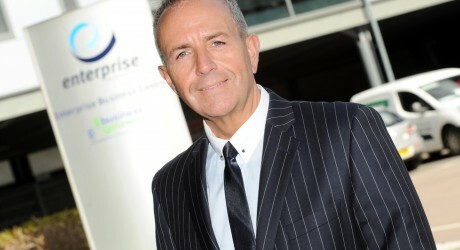 Gary McEwan, chief executive of Enterprise, said: “We often urge the lifestyle businesses we work with to apply for the Trend awards but had not identified until this year, the opportunity for Enterprise. “We were delighted to see that The Community Award was in existence and felt that it would be a really good fit for us. At Enterprise, we have organised The Grampian Awards for Business Excellence for the last 15 years, so it is certainly strange to be on the receiving end for a change. Enterprise deliver Business Gateway services in both Grampian and Tayside, and create a professional home for business by running 18 business centres across Scotland alongside the many projects they deliver in Scotland. The Trend Life With Style awards ceremony will take place on Thursday 12 June, at the Marcliffe Hotel and Spa. MEDIA RELEASE issued by Frasermedia You too can post your story ideas for journalists (aka press or media releases), on allmediascotland.com. Email info@allmediascotland.com for more information.